Pagani has big plans with the Huayra model, as the company is thinking of launching a Roadster version soon enough, with a public debut in around two years. The Pagani Huayra model is the definition of that high-end model car, yet with the Roadster promising to deliver even more goodies and high-tech enhancements inside. 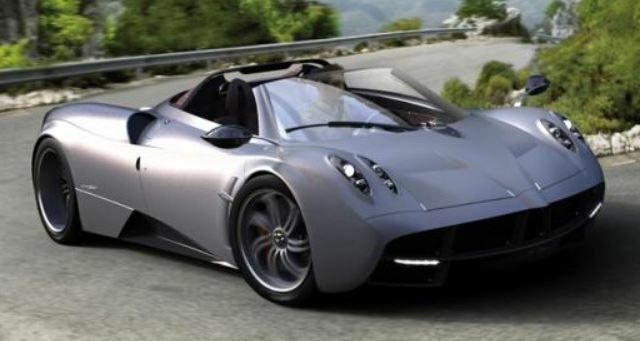 On the other hand though, the Pagani Huayra Roadster will be standing on the same platform as it sibling, with rather the same interior and with the same V12 engine under the hood. Talking about the engine, this one is just the same 6.0-liter Mercedes-Benz AMG twin turbo V12 unit also found on the standard model, developing 720 horses and a massive 1,000 Nm of torque. The speed is also impressive, since the Pagani Huayra is able to reach the 0 to 100 km/h mileage in just 3 seconds, with the supercar having a top speed of 370 km/h. Some rumors and also some reports state that the Pagani Huayra would be publicly debuting in around a couple of years, so we should come back with some spy mules shortly.